How the Grinch Stole Christmas! : The Ultimate Edition from Warner Bros. is out now on Blu-ray and DVD. Magnificently narrated by Boris Karloff and directed by animation genius and cartoon legend Chuck Jones How the Grinch Stole Christmas! Tells the story of a miserable Grinch, who wants to sabotage Christmas for all the Who’s in Who-ville. 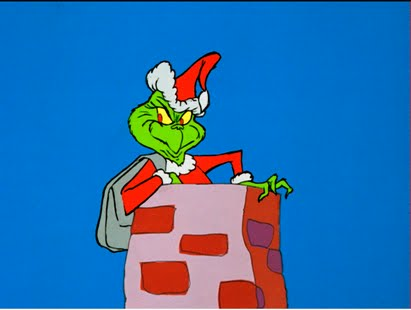 The Grinch thinks that by still in the Whos Christmas trees and presents, he’ll succeed instill in their joy. However, when Christmas morning arrives, the Grinch is taken by surprise when he notices the Whos great the day joyously singing Christmas carols regardless of the fact that their village has been completely stripped of holiday gifts, decorations, and treats. The cheerful attitude of the Whos prompt the Grinch to ponder the true meaning of Christmas and he slowly comes to realize a spirit of the season is not generated by material possessions. While the Grinch has a change of heart and considers returning the Whos Christmas gifts? My Opinion: I love how the Grinch Stole Christmas and I watch it every year it is a Christmas classic and I look forward to sharing it with future generations. Making animation and bringing it to life- audio commentary with animator Phil Roman and June Foray, the voice of Cindy Lou Who. TNT’s special edition featurette with the late Phil Hartman takes a historical look at Dr. Seuss’s How the Grinch Stole Christmas!